Congratulations to Kierra (KiKiD)! You are the winner of Shadowlark, the second book in The Skylark Trilogy by Meagan Spooner! Please send us a DM on Twitter or an email to publicityinfo@lernerbooks.com with the subject line “Free Book Friday” and tell us your mailing addresses so we can get your book in the mail. Are you the type of person who likes to shop ’till you drop? If so, you have to enter this week’s giveaway for a chance to win Spending Spree: The History of American Shopping. Ka-ching! Ever stop to think how our modern-day shopping culture came to be? In the early 1800s, stores were few and far between in the United States. General stores supplied everything from fabric and flour to handsaws and clocks. 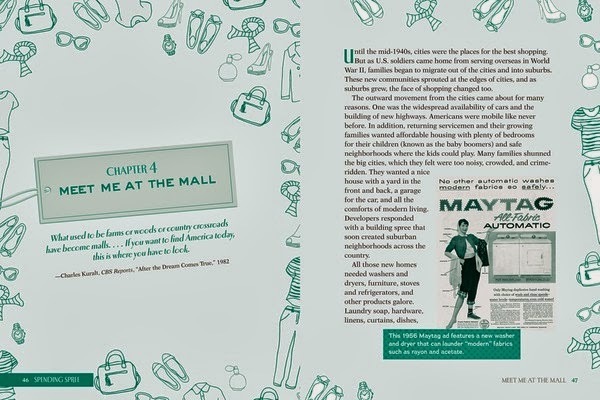 As the country grew, mail-order catalogs arrived at homes across the country, Mom and Pop specialty shops sprang up along Main Street, and later, shopping malls and big box megastores thrived in the suburbs. Then online shopping arrived via the Internet and changed the consumer experience yet again! Buying behaviors also changed over time. For example, did you know you could barter for a pound of sugar at a general store in the early 1800s? Or that department stores in the 1900s added restrooms and ladies lounges to encourage women to shop all day long? Or that online shopping in the twenty-first century is a multibillion-dollar industry? 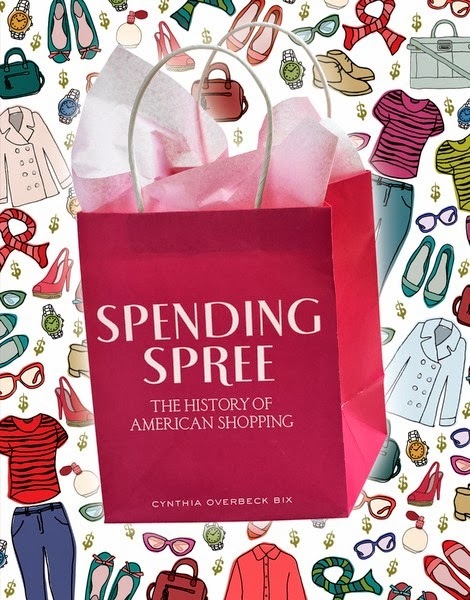 Spending Spree takes readers on an amazing journey from farmlands to cyberspace to learn about the evolution of shopping in the United States. We’ll announce the winner during Free Book Friday on November 1, so be sure to come back to the Lerner blog to see if you’ve won! My Mother put up Sears catalog wallpaper, I used to look at all the old things in awe! I love shopping & product news!